Deloitte showed a "persistent and deliberate disregard" of accountancy ethics, the ruling said. The £14m fine is below the £15-20m requested by the FRC, but it dwarfs the previous fine handed out to an accountancy firm - £1.4m for PriceWaterhouseCoopers in 2012. A spokeswoman for the firm said: "We are disappointed that the efforts we and others made did not successfully secure the long-term future of the MG Rover Group." 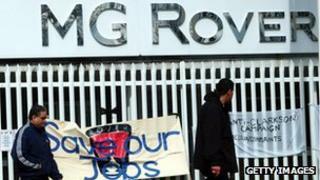 An independent report found that the directors advised by Deloitte, known as the "Phoenix Four", received more than £40m from MG Rover before its collapse, which led to 6,000 job losses.